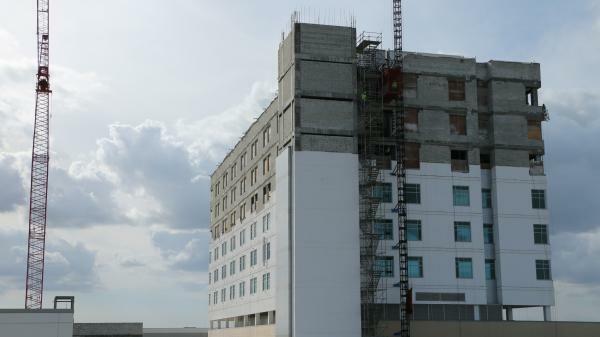 Our crew is adding three stories, 170,000 square feet, to the already working, six-stories hospital. Once complete in 2018, Tradition Medical Center will be twice the size with 90 new patient rooms as well as brand new service rooms and medical offices. For the building occupants, each day is simply another day at the office. Although Harper is recognized for the engineering and construction of large, complex, MEP-intensive projects, our average size new construction or renovation project lies in the $200,000 - $1,000,000 range. Today, approximately 40% of our revenue derives from this size project. Successful execution of this work is core to our success. On many of our SPD projects, we provide a full Design/Build solution including system condition analysis & assessment, engineering and construction. On others, we deliver these services on a Design/Assist or Plan & Spec basis. A majority of our SPD work is performed within occupied, fully operational facilities. As a result, we deliver our services with trained professionals who focus on pre-planning to minimize disruptions, shut-downs and occupant discomfort from noise, dust, traffic and vibration.